Another 200k with 15,000’ of climbing!! I had the pleasure of riding with a fine group of 6 riders from another bike club and my brother yesterday. I was invited to experience an annual event they do called "The Mother Ride." 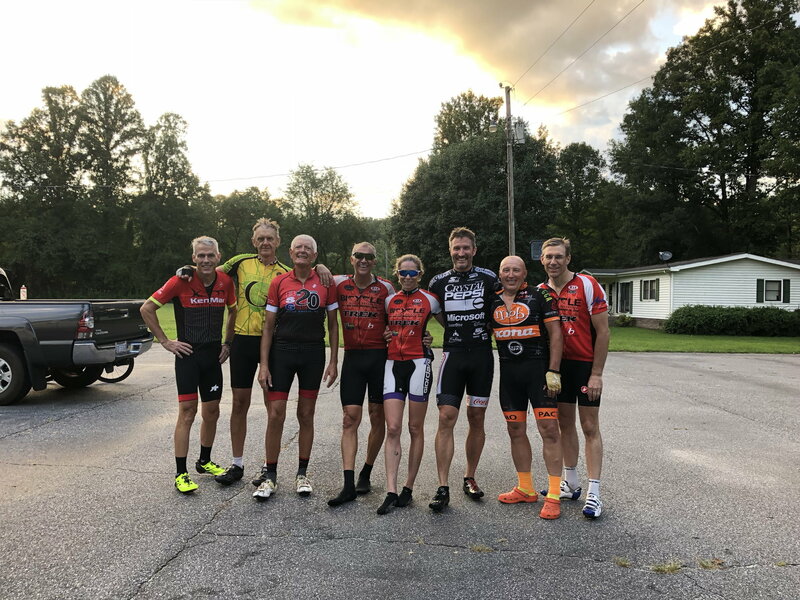 It starts at the base of a 13 mile climb up Hwy 181 north of Morganton, NC. 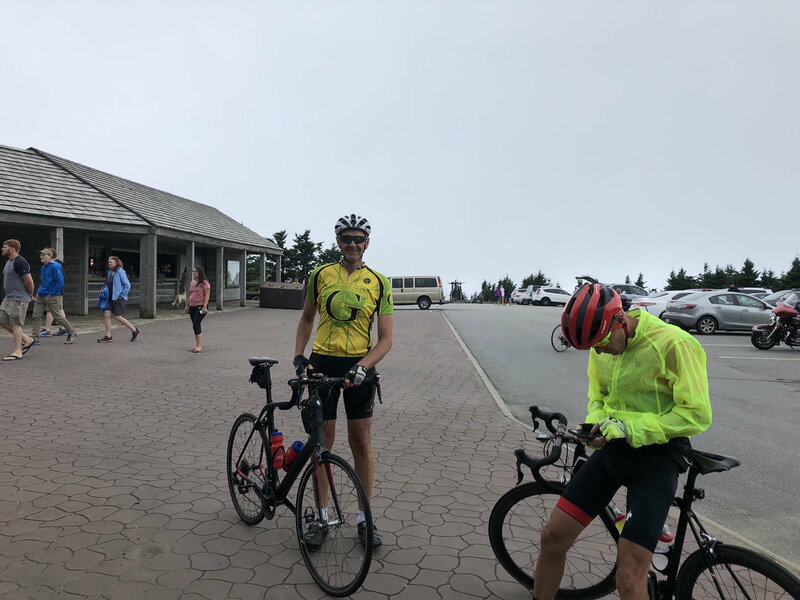 It then takes the Blue Ridge Parkway 43 mikes over to Mt Mitchell. Then you retrace the route back to the start. 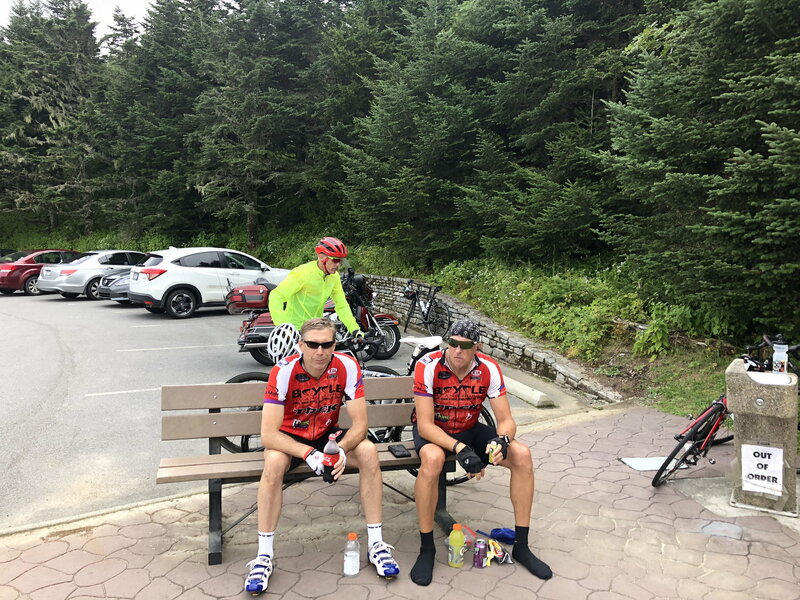 It was 122 miles with around 15,000' of climbing. That's by far the most climbing I've done in one day. We had almost 10,000' of climbing in the first 61 miles over to Mitchell. I've ridden lots of 100 milers that didn't have 10,000' of climbing. We only took 3 stops. Thank goodness for 40 oz of Coca Cola along the way! No really steep hills but a lot of 6-10% climbs with the longest being the initial 13 miles. 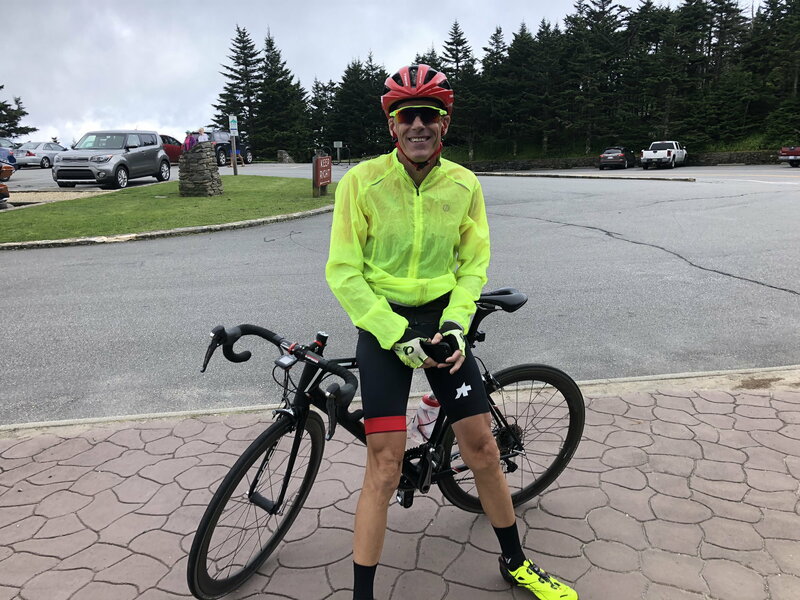 There were two significant rain showers on the ride, both on the Parkway. The first was about 10 miles from Mitchel and was a stready rain for 15-20 minutes. However the 5 mile climb up Mitchell was dry. The second rain event was one of those with large rain drops that hurt and sting while you’re riding. Everything was quickly soaked including my shoes. It lasted about 30 minutes. Except on Mitchell, there is only one place to get water and snacks along the way. We were thrilled when a really nice lady in the small store said she stay open a little later so we could refuel on the return trip. Life saver! My brother and me at the top.....halfway!!! Nice accomplishment! 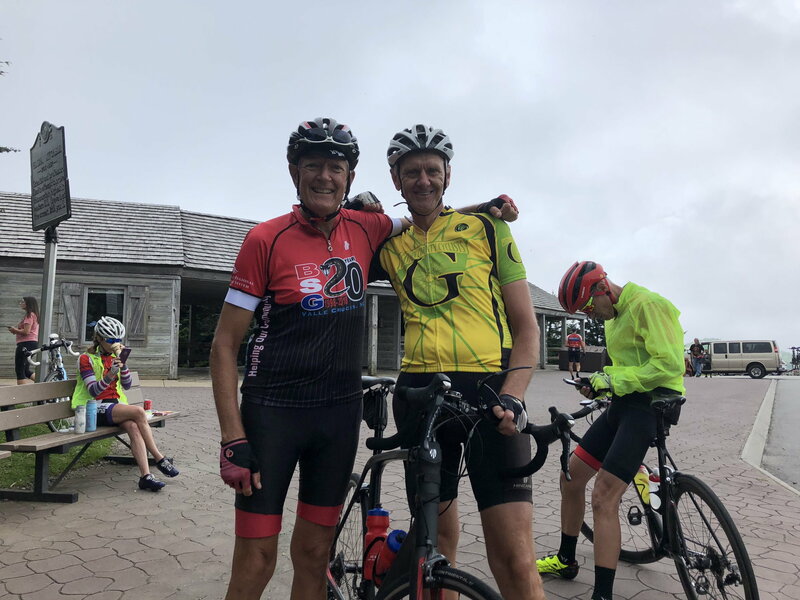 I did a similar ride 4 weeks ago, the Markleeville Deathride (130 miles, 16,000' climbing including five over 8,000' elevation passes). Similar to you, it was much harder than any other ride I've done. I'd only once ever done a ride over 10,000' before. 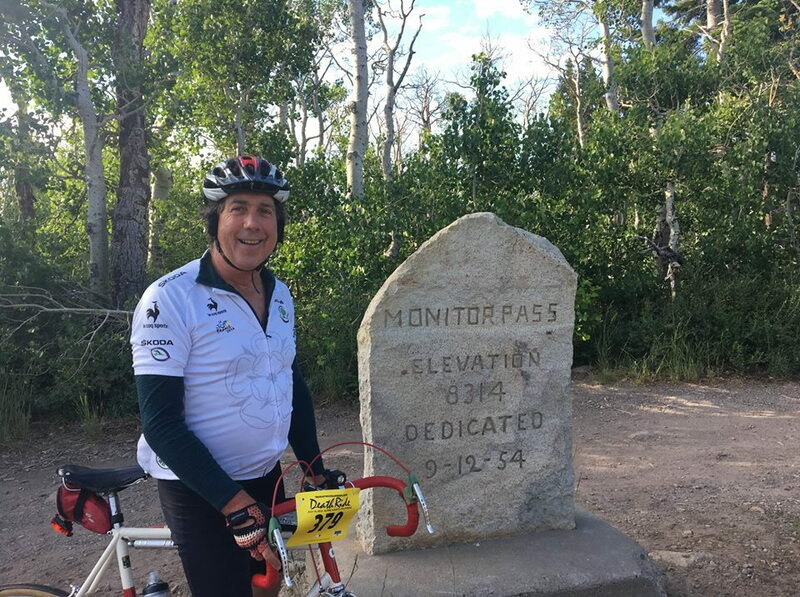 I'd been thinking of doing this ride for years but since I just turned 64 I decided that if I waited too much longer I probably wouldn't be able to do it. The only "problem" we have now is, what to train for next. I dont see many rides on these forums that impress me OP, but yours sure does. Sounds like an awesome ride, wish i could've been there. Awesome photos. Now I feel like a wuss 122 miles in mountains I better start eating my Wheaties. If you're not familiar with the idea, look up the randonneuring "Super 6" routes. These are 600k routes with at least 10,000 meters (not feet, meters) of climbing. There may be one in that area. The hilliest route I have done is the Talimena Scenic Drive. I mapped it both ways and get 13,000' in 121 miles. 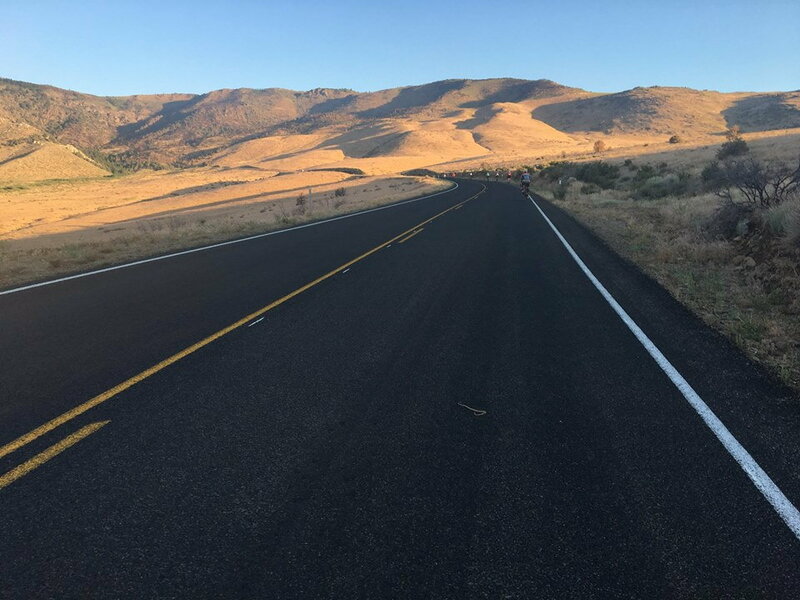 When I rode it, I just rode it one way- there is a flatter return route that goes through the valley and that's how our route returned. 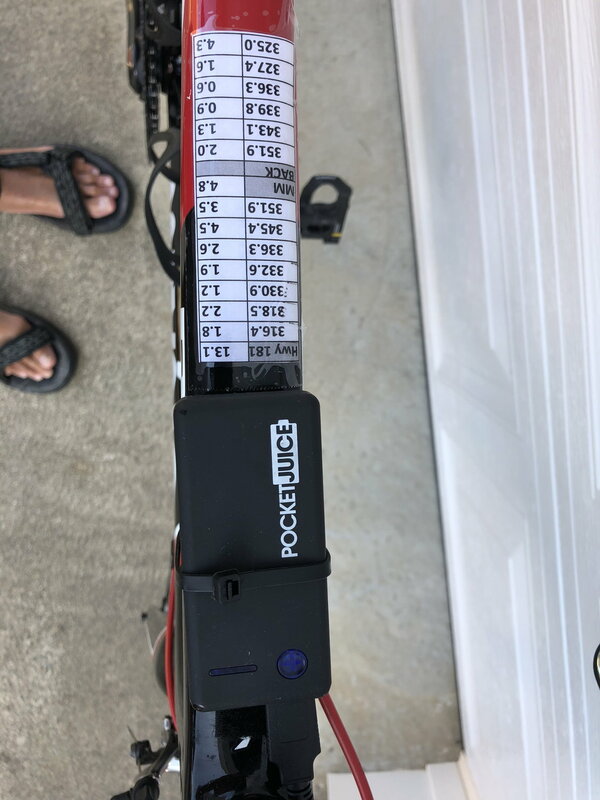 You pretty much need some type of outside support to ride it on a bike, as there are not any stores up there- water is the issue. 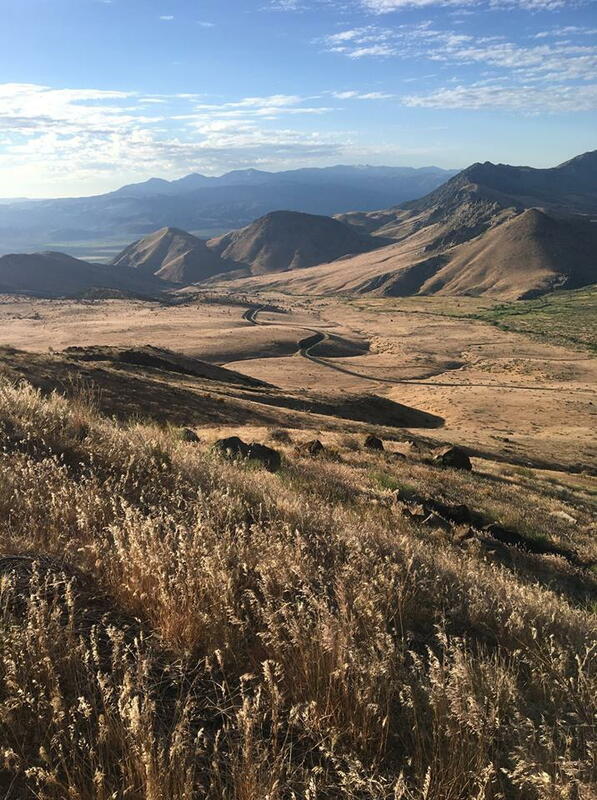 There is (or was) a "Wild Horse Double Century" that went over it both ways. We had spent some time looking for a "Super 6" route in Texas or Oklahoma. The Talimena Scenic Drive has adequate climbing for its length, but once you get off, it's flatter in every direction, and you just can't reasonably string together 600k of sufficiently steep hills. Down in the Texas Hill Country around Austin, there are plenty of big hills, but a lot of flat land in between them, so I'm not aware of a route down there that qualifies, either. That said, I really don't enjoy that much climbing in a ride. I can do the climbing, it's slow and just a matter of grinding along till you get there. But trying to control speed on the downhills is the part I don't like. There on the Talimena drive, you have curves at the bottom of a lot of the hills, maybe not super sharp, but still, you can't see a clear runout until you get past the curve, so you sort of need to control speed on the way down. I remember one rider in our group wound up with melted brake goo on his rims. Great ride, jppe. 10 hours sounds like a good time for that amount of climbing. The nice thing about the BRP is the climbs/descents are only around 6%. There’s not really a braking issue as the curves can generally handle the speed. I rarely get much over 40 mph when descending the BRP. 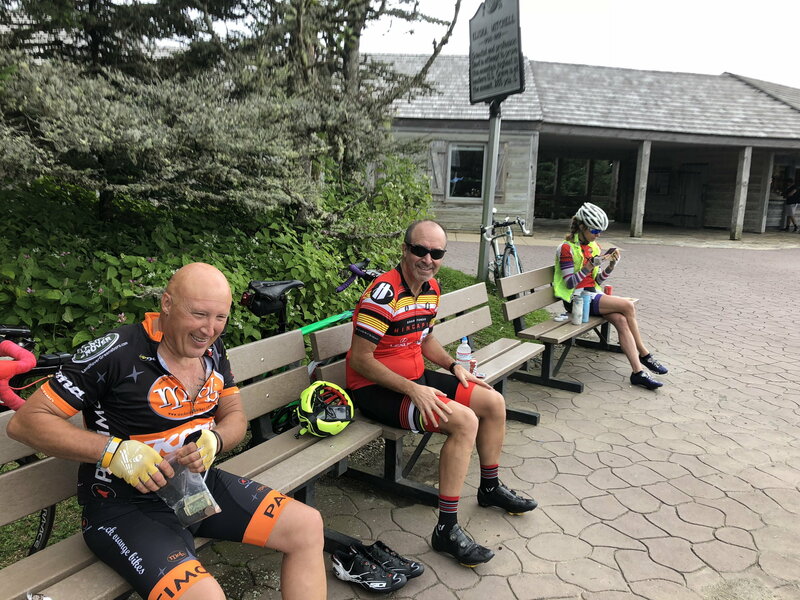 In NC/SC the steeper climbs with the technical descents are off the Parkway. 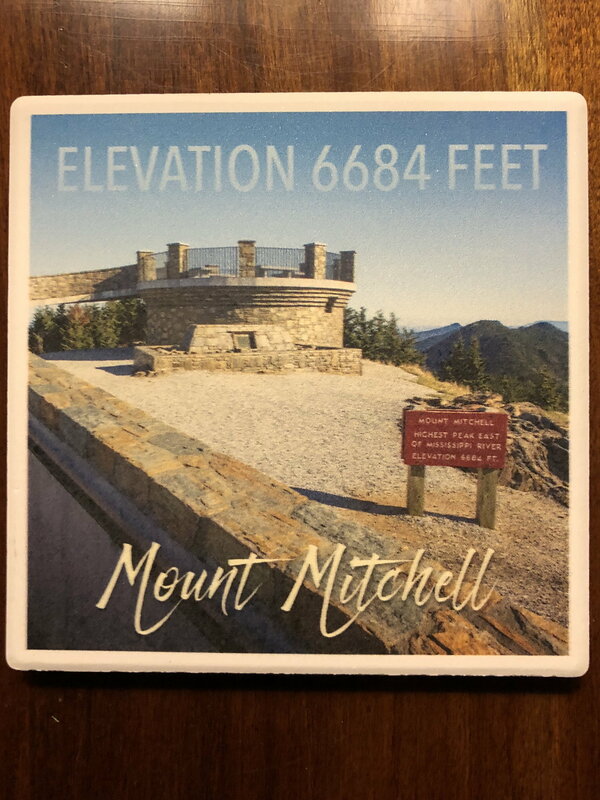 For example there is HWY 80 that is ridden frequently by cyclists and is a Section of the Assault on Mt Mitchell. It has a 5 mile section just before the BRP that is around 8-10% with numerous hairpins. You really have to monitor your speed descending that one. I learned the hard way in my early years of cycling. I had too much speed in a turn on a new bike and had a choice of going over a guard rail and down a ravine or lay it down. I went over the handlebars, landed on my head, cracked some ribs and partially separated a shoulder. Fortunately just some scuffs to the bike!!! Rode the bike the 15 miles back to my van before all the pain set in. There are numerous climbs and descents like that where brakes can really heat up, rim or disc!!! Lots of old dudes there. I want to be just like them in about 10 years. Heroes. You are incredible! What an inspiration. That's one helluva ride. No way i'd be able to do that currently. My wife and I were picnicking with our granddaughter there on the same day you were up on Mt. Mitchell. I do recall seeing some cyclists but don't think it was you guys. Sounds like a great ride!